"Blackfeet Indian Reservation" "Blackfeet oil drilling"
The cell phone rang Thursday and on the other end was Leslie MacMillian a writer for the New York Times. She said she was interested in talking to me about my photography work and the map created by Stacy Dolderer, documenting the oil drilling on the Blackfeet Indian Reservation. This has been an ongoing project for me since about 2010. There's no end in sight. 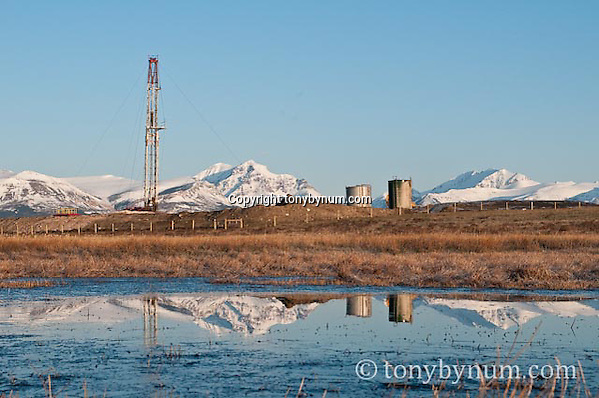 The drilling continues with more wells near Glacier National Park planned. Read the full story: "A Snapshot of Drilling on a Park’s Margins"